One thing I liked about Charlie Haughey: he was cool. When you saw him appear on TV, you knew he wasn’t going to be wrong-footed, or crushed, or a figure of fun. In contrast Garrett Fitzgerald, at the signing of the Anglo-Irish Agreement, looked like an over-grown schoolboy anxious to please headmistress Thatcher. Charlie Haughey, when he met the Milk Snatcher, gave her a present of a teapot. Such things are superficial, but it’s natural for people to want those who represent them to look in charge, calm under pressure, clear-eyed. Gerry Adams had that same quality. If you look at the old film of Adams being arrested, or when he got that famous visa and visited the US, while those around him were going bananas with joy or rage, Adams was measured and no more flustered than if he was out for a walk with his dog. Did we learn anything from the recent release of 30-year-old state papers? Well, to no one’s surprise, Thatcher emerges as a woman devoid of compassionShe reviewed the failed appeal of the Birmingham Six and announced that its rejection was “extremely impressive.” She also thought the gardaí weren’t nearly sufficiently professional and pointed out that a small country such as Israel had “one of the best police forces in the world.” Oh, and she was quite happy for the Stalker Inquiry not to be published. 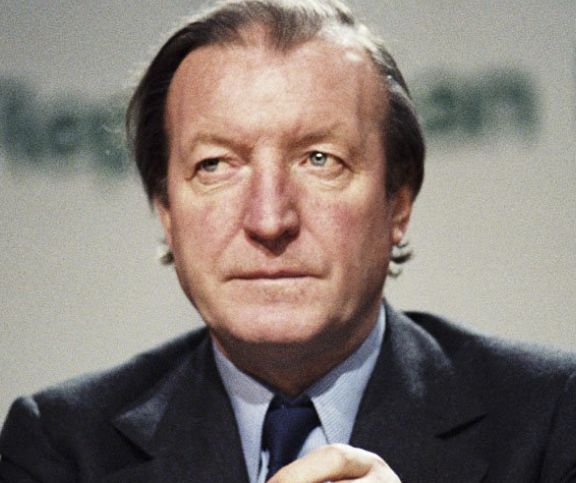 When Haughey spoke about deep feelings in Ireland about the British and their actions here, Thatcher asked him how long these were likely to last. Haughey told her “Seven hundred years in our country”. Yes, Haughey had many flaws and he threw away opportunities to be a real statesman. But for that seven hundred years and the teapot, I’d forgive him a lot.